26. 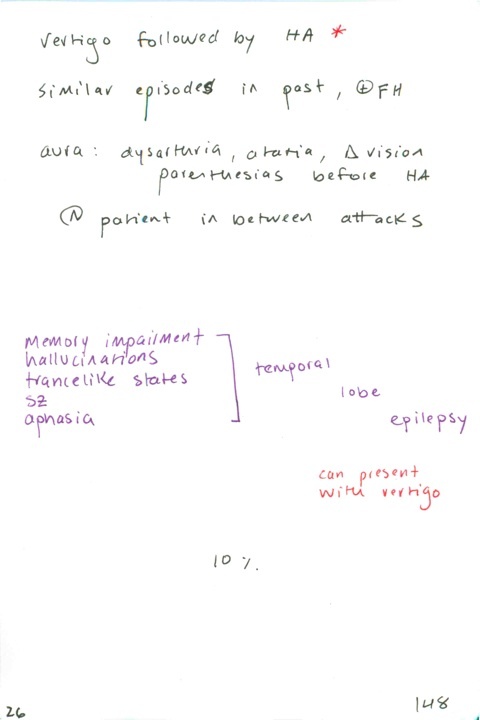 Characteristics of vertebrobasilar migraine & temporal lobe epilepsy / what % of MS patients first present with vertigo? Previous PostPrevious 25. 4 major symptoms the complaint of "dizzy" can refer to / what is the only cause of peripheral vertigo that requires urgent intervention?